It must be mid-October: I have motorcycles on the brain in a big way. The season here in Wisconsin id definitely nearing its practical end. The days are getting shorter, and starting today, cooler after that stretch of unusually warm weather. 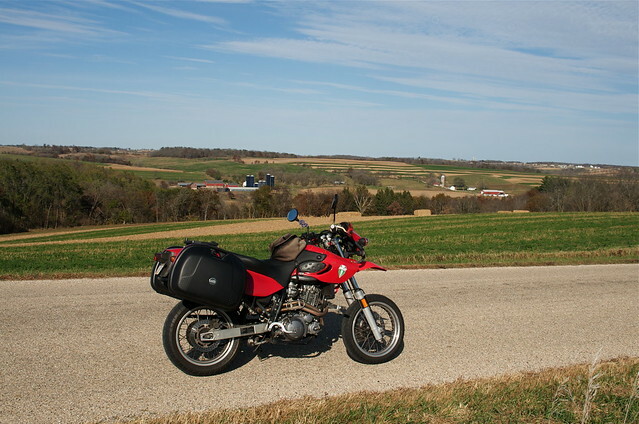 After my trapeze class (post on that will follow) I lit out of town to the west with no plan except to enjoy the playground Western Wisconsin has to offer we motorcyclists. Following my nose led me HERE, where I took these pics. 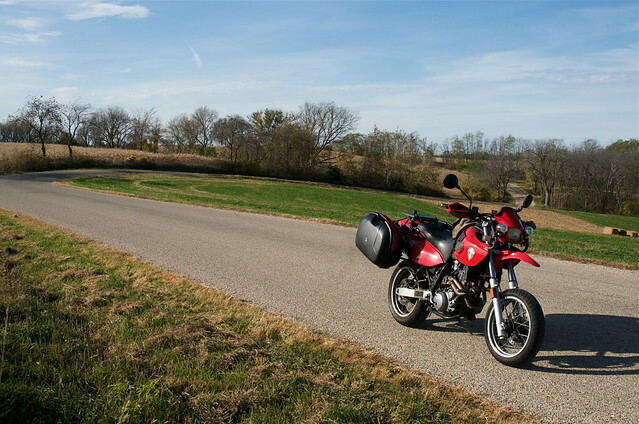 The bike is my beloved MZ Baghira, converted from a supermotard to a light-duty adventure tourer with the addition of a comfortable seat, Givi hard bags, and PIAA lights for those dark, twisty roads at night. 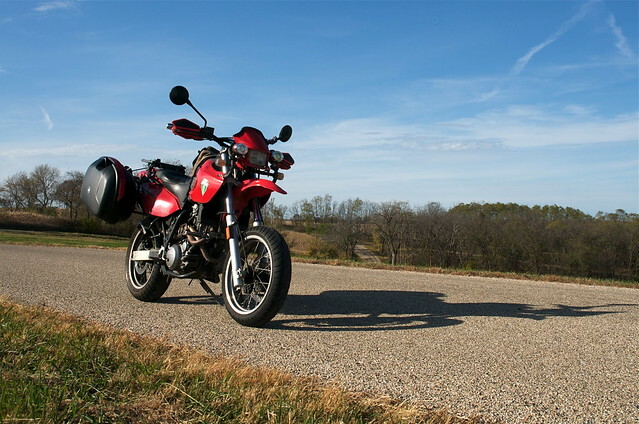 It is an ideal machine for the hilly, twisty country roads of western Wisconsin with gobs of torque and sufficient horsepower. Winter here is a period of deep despair for motorcycle riders. I blogged about it a couple of years ago, so as we reach this time of year, riders like me get a bit desperate for One More Ride. It looks like I have another good week ahead of me, so I do not need to panic just yet. Whew!